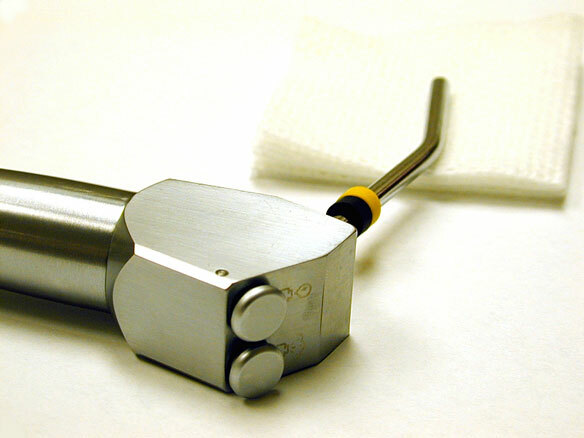 A close-up shot shows a metal dental syringe in great detail. The three-way, air and water syringe lies on a white table. This type of syringe supplies air and/or water to the oral cavity for cleaning and flushing debris away from the area that the dentist is working on.